Stock Market Operators run the stock market. This is common consensus worldwide. In the Indian context, the transparency factor is missing. Retail Investors are only a pawn in the hands of Stock Market Operators. Long back, i attended one of the programs called Investor Education Program by leading stock broking firm. These programs are nothing but a marketing to promote investment in Stock Market. Though i was keener to learn how the stock market works. Stock Market is like a Mirage. Investors jump this bandwagon to make quick money. Before investment, it is important to understand how it operates. Based on my study so far, i can say that one of the marketing gimmicks is the use of the word “HIGH RISK“. In my opinion, HIGH RISK is a more positive way of giving negative message :). The risk is qualitative and cannot be quantified. You are always told that your stock market investment is at HIGH RISK. After reading this warning out of ten investors, nine may still invest in stock market. Assume High Risk is replaced by LOSE MONEY. Now you will be told that you may lose money on your stock market investment. In this case, out of ten investors, only very few investors will invest. I asked this question in one of the workshops and the expression on the face of the speaker was to KILL ME :). I hope after recent meltdown the regulator will take note of it. Due to certain limitations, i cannot share all my findings in this post. As an investor, i can say that in Stock Market, the mind of a Retail Investor is trading against Algo Trading of stock market operators. It is also known algorithm trading. I am also a retail investor and can conclude that i cannot beat the Algo Trading. Algo trading is nothing but trading strategy. As per the online definition of an Algorithm Trading, It is a decision making to buy or sell a stock using advanced mathematical tools. I did a detailed study on this subject. Maybe the retail investors will not understand technicalities of same as it is too complex. An Algo trading puts stock market operators in an advantageous position compared to retail investors. 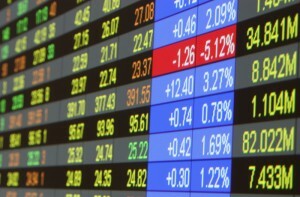 Therefore, stock market operators can influence the decision of retail investors through Algorithm trading. It’s like human mind cannot beat the computer in advanced mathematical logic and calculations. In other words, the retail investor is fighting a war with sword and stock market operators are fighting with automated guns. 1. BUY SELL Quantity / Order Book: The order book of a stock is a key influencer for Retail Investors. It basically shows Buy/Sell Quantity against each Buy/Sell Price Point. To retail investors, next 5 data points are available but to stock market operators possibly the next 20 data points are available. Secondly, order book also shows the total buy and sell quantity. Therefore, for the retail investor if total buy quantity is 2,30,000 and the sell quantity is 1,70,000 means a bullish trend. It implies no of buyers are more than sellers. On the other hand, if the buy qty is 2,30,000 and the sell qty is 3,50,00 then it means a bearish trend. The conclusion of retail investors is that no of sellers are more than buyers. Now you must be wondering what is wrong out here. All the conclusions mentioned above are WRONG. Through quantity, you cannot conclude whether there is a bullish/bearish trend. You should check this with no of orders and this info is not available. Stock market operators can easily influence this data. A retail investor knows all the details of only next 5 orders. For example, if the Sell qty is 10,000 and no of orders are two. it implies that only two retail investors or stock market operators have placed 10,000 qty to sell. They may or may not be actual sellers as they can change their Sell price anytime till the order is executed. This data is very dynamic and change every second. The trap for retail investors is that they don’t know the total number of orders against the total buy/sell quantity. It will help to find whether actual buyers or sellers are there in the market. It can be a mirage by stock market operators to influence the stock price. Now assume that for stock market operators, the decision making of buying and sell along with quantity and price is controlled through Algorithm Trading. The retail investor is dead in this case. In the example mentioned above, if no of order against buy qty of 2,30,000 is say 10 or 20 then in all probability the buyers are not real. They might be stock market operators influencing the stock price. If you observe this carefully then you must have observed that sometimes the Buy or Sell qty suddenly jump or collapse. It has a major influence on the stock price. Let me share an example how can i do that. If the current buy and sell qty is 1.5 lac and 1 lac respectively. Current stock price is Rs 300. Now stock market operators will put 2 lac SELL qty at Rs 250 assuming 20% lower circuit. In this case, they know the price will never collapse to Rs 250. After this order is placed, suddenly the revised buy and sell qty will change to 1.5 lac and 3 lac respectively. You will observe the stock price take a downward trend. If there are not many genuine buyers then by placing small orders at regular price interval, the stock price can be moved to negative zone. If the no of order details for total qty is available then the retail investor can easily find that the stock market operators have entered the stock. Trust me retail investors cannot suddenly place orders worth 2 lac within secs. Also, i don’t understand why the exchanges cannot provide the no of orders details for Buy and Sell quantity. 2. Intraday Trading: Let me be honest that Intraday trading is not for retail investors. In all probability, they will lose money. During stock trading, the total quantity that is shown to the traders is a mix of qty marked for delivery and intraday trading. As i shared in my previous posts also that some stocks are labeled as traders stock. Stock Market Operators are quite active in such stocks. The retail investor makes buy or sell decision based on market sentiments. These sentiments are built by so called Analysts as i shared in my post, Why Retail Investors lose money in the stock market. Whereas the opportunity to make money is in contrarian call provided operators are active. As i understand that stock market operators know the qty marked for intraday trading. Mostly the trend is either BUY or SELL. Assuming trend is BULLISH and X no of qty is bought in the morning. The same qty i.e. X will be squared off before the close of the trade. In short, the retail investor is assuming that price will go up during the day. All retail investors take a position by 11 AM as recommended by the analysts. Mostly the positions are squared off after 2 PM. Now assuming i am one of the stock market operators. I will evaluate with my friends. If we can influence the market depending on no of orders and qty then i will SELL during the mid-day trade. In this case, i have taken contrarian call against the trend and i will BUY at the close of the trade. You should keep in mind that i am dealing in huge quantity and with the help of algorithm trading. Also, all the operators take the same call. Now, how will i make money? In this case, timing is very important. I will start selling between 12 PM to 1 PM. In this case, the stock price will start falling. It will create panic among the retail investors as the movement is against their expectation. Therefore, retail investors start selling to cover their profit or losses & operators are buying at a low price through algorithm trading. At around 2:30 PM, the stock market operators will start buying to square off their position. Therefore, the stock price will now start moving up thus they will make a bundle of money. These are the stocks that move in the range of up to plus/minus 3%-5% during the day. The volatile stock market is the perfect cocktail for intraday trading. Words of Wisdom: The points shared by me is based on my personal experience and study. I have tried to explain in layman terms though the subject is too complex. After you study how Algorithm trading works, the lot of things will become clear. A retail investor should avoid stocks in which stock market operators are active. One of the ways is to check the security wide delivery position.